Darrell Rubens is a Senior Managing Director in RKF’s New York office. He is recognized among the premier retail real estate professionals in Manhattan. For more than 20 years Darrell has excelled representing landlords and tenants. He has been instrumental in helping transform the Wall Street retail corridor with the successful leasing of Canali, Thomas Pink, Haru and T.J.Maxx. 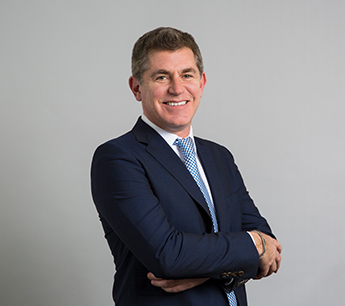 In recent years, Darrell has represented many of Manhattan’s most prominent entrepreneurial and institutional owners, including Capstone Equities, Green Oak, Himmel + Meringoff Properties, Madison Capital, ABS and Partners, Silverstein Properties, SL Green, The Carlyle Group, Angelo, Gordon & Co., and others. He was instrumental as a landlord representative securing leases with Lowes Home Improvement, Warby Parker, Rumble, Gourmet Garage, Sephora, Tumi, and Wells Fargo. He has also worked on behalf of a wide range of retail clients, such as Snapchat, Equinox, My.Suit, General Electric, Crunch Fitness, CVS, Walgreens, Chase Bank, USPS and Apple Bank. Prior to joining RKF, Darrell was a partner at Winick Realty Group and served as executive vice president of the firm, where for more than 20 years he played a key role as both a broker and manager. During his impressive tenure, Darrell completed more than $1 billion worth of retail transactions. Darrell received CoStar Group’s “Power Broker” Award for Retail Leasing and the “Rising Stars” Award from Real Estate Weekly. He was also a finalist for the REBNY Deal of the Year award. Darrell graduated from Pace University with a degree in Business Management and Marketing in 1996. He is a licensed broker in the state of New York, a member of the International Council of Shopping Centers and the Real Estate Board of New York.